The Zapantera Negra Project, a newsletter blending imagery of two of the Western World’s most important social uprisings, was showcased Feb. 18 at San Francisco State University. 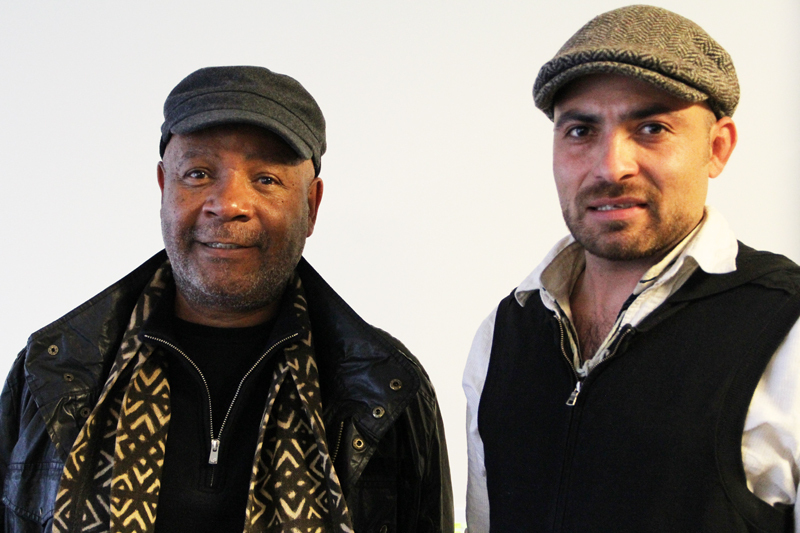 The Zapantera Negra Art Exhibition brought together Emory Douglas, the former minister of culture of the Black Panther Party (BPP), and artists Caleb Duarte and Rigo 23, who have worked alongside Zapatistas for many years. Colorful designs within the newsletter’s pages pull the reader in—the clean-cut lines of Douglas’s Black Panther style, and the visceral texture of the Zapatista women who embroidered these classic designs colors and patterns from their own aesthetic language. The seed was planted in 2010 when Duarte invited Douglas to Chiapas to take part in an artists’ collective in the former UN headquarters, the En Donde Era La ONU (EDELO) founded by Duarte. Financed by a Kickstarter campaign, the Zapantera Negra Project attracted supporters from all over the world: Spain, England, Greece, Australia, Mexico and the United States. The newsletter will be sent to supporters as well as media art and archiving organizations in New York, Los Angeles, Chile and Spain. Looking at Zapatista and BPP art side by side, there is a stark contrast in symbolism. Where the Black Panthers hold guns in their hands, the Zapatistas often hold corn. While a fierce panther reaches out at you from some pages, a simple snail glides by on others. In 1994, the Indigenous uprising of Chiapas, Mexico formed the Zapatista movement to rebel against the government’s displacement and oppression of Indigenous communities. The Black Panther Party, founded in Oakland by African Americans, strove for civil rights and equality in the ‘60s and ‘70s. Among the leading members is Emory Douglas, designer and artist for the BPP from its commencement in 1967 until 1980. “[I tried to] illustrate conditions that made revolution seem necessary, and… construct a visual mythology of power for people who felt powerless and victimized,” Douglas said of his work. The powerful iconic images of the BBP were products of the dedicated creativity of this City College of San Francisco graduate. 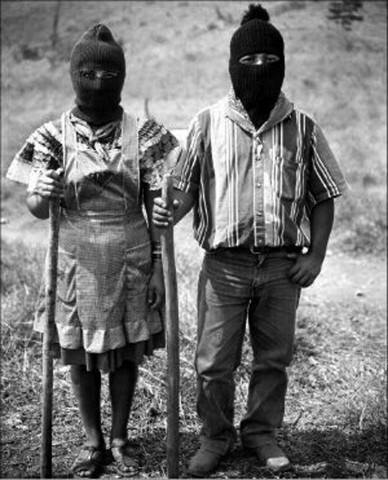 Decades later, the Zapatista uprising coincided with the rise of the Internet. 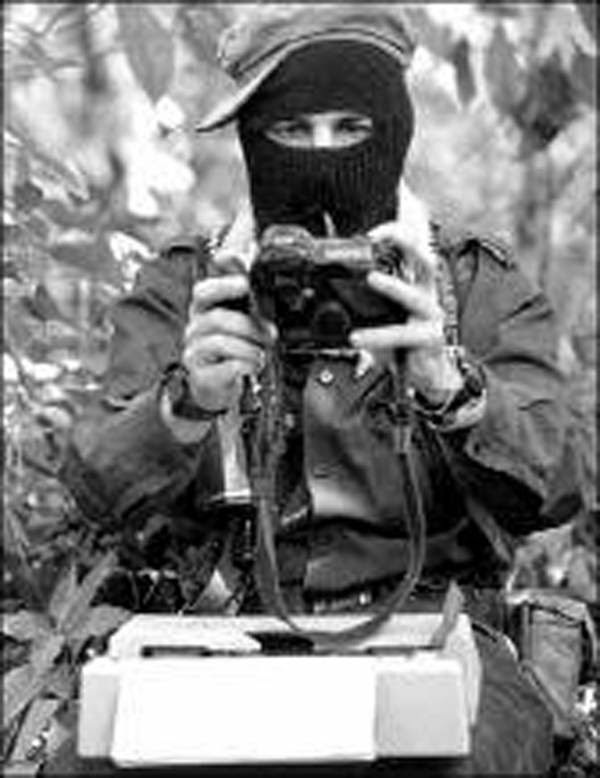 Zapatistas and their supporters disseminated their message, often with video or graphic on a massive scale. Currently the movement is typified by the colorful woven art done by Zapatista women that tourists can buy, thereby spreading the movement and raising international awareness. “The Zapatistas cover their faces with masks, and the Black Panthers used their leather jackets, but both are using their bodies to challenge what appears to be society’s unshakable system,” mused Duarte. The intersection of these two movements is a testament to the universality of the struggle for civil rights.